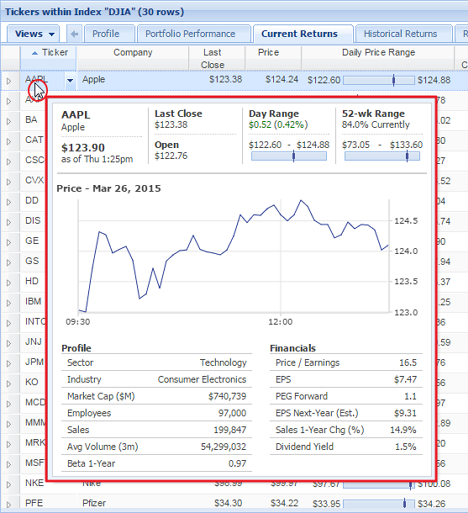 If you check the first item, an informational tooltip showing data, such as industry, price, volume, market cap, and 1-year beta, will appear when you mouseover a ticker symbol in the Table. The second tooltip in the list will cause a tooltip to appear when you mouseover a ticker in the Quotes box on the left, and checking the third causes the tooltip to appear when you mouseover a ticker in the Chart’s legend. 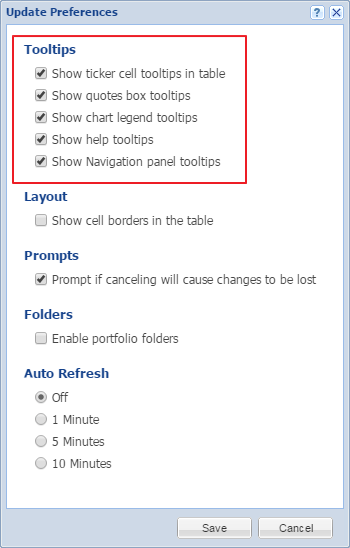 The fourth and fifth options are for different types of help tooltips.